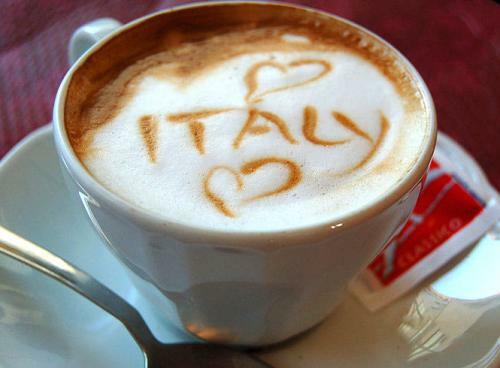 Italy is one of the worlds top travel destinations; no surprise here, is there? However I’m not going to repeat the overstated remarks like “Italy is beautiful”, or “add it to your bucket list”. Instead I’m going to tell you my own story of living in Italy for couple of years, experiencing all four seasons, and most of all, about the people I met along the way. I was one of thousands European students who participated in a student exchange and this is how everything started. I spent one semester at the university in Milan which was the best time at the university I have ever had. I met both Italians and foreigners there, and became good friends with Paola, Gloria, Damien, Valbona, Elisa, Jarek, Giada, Axelle, Dario. We were all students, open enough to become friends with people from all over the world. When I’m thinking about these autumn and winter months with terrible weather and the difficulty of learning foreign languages in Italian it is hard to believe I liked Italy so much. The truth is I had a chance to start longterm friendships with people like me and I used every minute to pursue it. And this was a good start of everything which came next. Some of my best memories from this time are related to the Italian bars. I enjoyed the real Italian cappuccino and brioche at once, and so I was spending each morning in a bar watching other people having their coffee. The smell and sound of this morning rush is still living in my memory. Precious thing. I enjoyed the real Italian cappuccino and brioche at once! I continued my studies and when it came to a difficult choice of the theme of my thesis, Italy was my first choice. And I went to Milan again, this time for a year, to investigate so called “second generation”. Using my previous contacts I melted into the local community. I was much more aware of the cultural aspects of my stay and throughout the year I visited many less known than the obvious Colosseo or Vatican places. Certosa di Pavia, Lecco, Bergamo, Lodi, Santa Caterina, Abbazia di Piona, San Pietro al Monte, and many other beautiful spots in Lombardy developed my genuine love for Italy. Most of these places are not described in any guidebook and visiting them was thanks to my Italian friends who were kindly enough to share with me their local secrets. 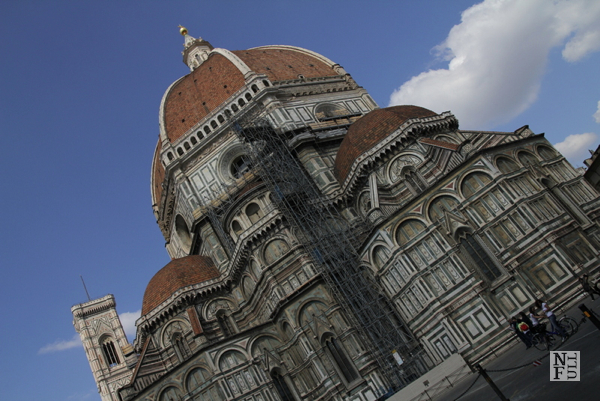 Santa Maria del Fiore, Firenze, Toscana, Italia. In English Basilica of Saint Mary of the Flower, Florence, Tuscany, Italy. I eventually moved to Italy. This time I had a precise project on how to fully integrate into the local community. It all came other way around as my neighbors simply surpassed my expectations. I started with dealing with snow in front of the garage in the first winter and ended up with lifetime friendship with two Italian ladies. They decided to teach me the real Italian kitchen and as a result I was spending one day a week on learning traditional food from Emilia-Romagna. Through the time passed together I learned not only the recipes but also the local history, old habits, dying traditions and vivid feasts. I collected immense collection of places, events and foods that enriched not only my stay in Italy but, most of all, myself. Thanks to this time spent in Italy and friends I have there I feel like at home. And I think this is one of the most precious thing I have ever got: being at home in more than one place. So, after spending half of my youth in Italy I think I am authorized to deal with some of the biggest misconceptions about Italy, constructed by the tourists every year. Misconception #1 is related to a belief that it is always warm in Italy. This is not true, especially in the case of the northern part, where I had been living. While summer months might be unbearably hot, autumn and spring are nice and mild. Italian winter is nasty: rainy and foggy. 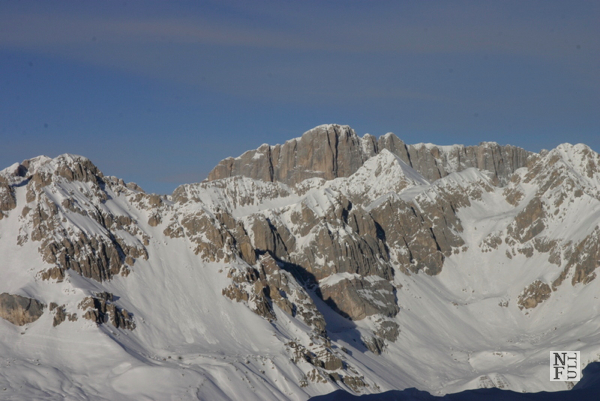 You should absolutely use the opportunity to visit Italy in May and September, or even October if south from Rome, but if you wish to visit Italy in December or January the only smart option is skiing in the Dolomites. The Italians are considered to be lazy (misconception #2). While getting things done in local authorities or in a bank is a never-ending story the secret lies in alternative organization of working day. Siesta time (12:00-15:30) makes the tourists think that the Italians never work but the truth is that when you switch your working/not working clock you’ll avoid unnecessary stress and disappointment. The important part is to eat between 12:00-15:00 so you won’t left hungry until 19:30, when all restaurants reopen to serve the dinner. Focus on the evening: this is when life is good. Last misconception would concern that it is trivial to eat well in Italy. Now, I consider the Italian kitchen the best in the world, and I confirm that you can have delicious meal in every little village but the trick is how to find it. My way is pretty straightforward: follow the Italians. They know the way. The Italians love their own kitchen so if you eat in a restaurant full of local people you can be pretty sure this is a good choice. The best thing in Italy is: hanging around the city center (usually beautiful historical spot) with your friends, starting with apperitivo, concluding with fantastic local food, laughing loud and spending best time of your life. There are a lot of things to consider before moving to Italy, Gate-away’s Italian property guide can help you with all the dilemmas and hurdles which present themselves when relocating abroad. Agata is a writer, traveler and blogger. She has travelled to 20+ countries, lived in Italy for many years, and runs a travel blog focused on off the beaten path destinations. Her best holiday combines: trekking in the mountains, visiting famous museums and eating local food. She also loves travel literature and so when she is not traveling you’ll find her sitting in the most comfortable armchair with a travel book in her hand. You can follow her journey on Facebook and Twitter. Before moving to London 18 years ago I lived in a village on Lake Garda, summers were long but winters were longer, foggy and cold so I used to work hard in summer and travel in winter. 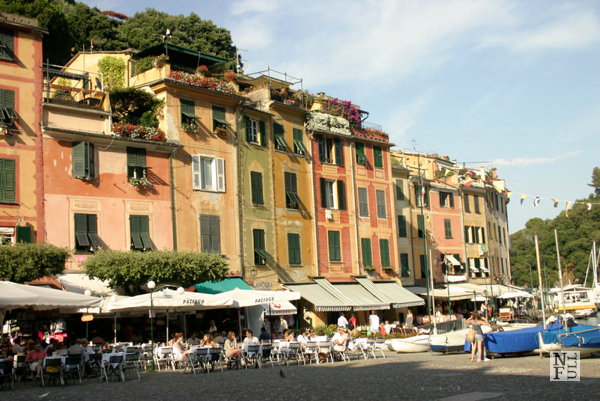 Now I go back to Italy on holiday and there is always something new to see or do…and plenty of good food! Hate to admit but I thought Italy remained warm all year long! Mmm currently craving Italian cuisine! So did I until I read Agata’s post! Though with some further research, I guess Italy is one of the biggest ski destinations in Europe! Who knew! !